Small and spectacular is one way we’d describe the mile-long trail though Watkins Glen canyon in the Finger Lakes region of New York. J.R.R. Tolkien’s mythical Elven city of Rivendell is also an apt comparison. Who knew such natural wonders existed a mere 180 miles from where I grew up. 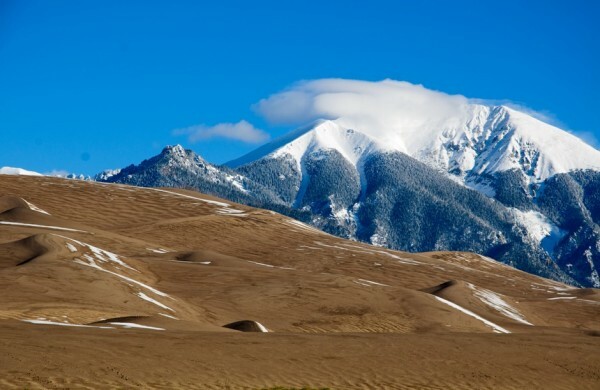 Probably more than any other place we visited, Great Sand Dunes National Park shocked us with its pure beauty. It’s a place I don’t think we had previously seen photographed and, therefore, it completely took us by surprise. So much so, we felt like we turned a corner and arrived in another country. This is the place that popped our spelunking cherry. Prior to Mammoth we had only walked lighted, paved and hand-railed trails through subterranean realms. Their “Wild Caving” tour opened up for us a whole other way to explore these wonderfully varied palaces: in the dark on our hands and knees. The North Dakota badlands are certainly spectacular, but what makes Teddy Roosevelt National Park a stand-out favorite for us is the park’s campground. 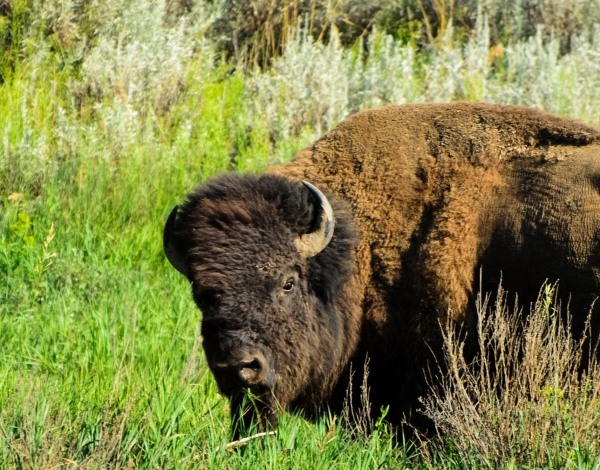 More specifically, it is the herd of bison that frequently overrun the campground. Being surrounded on all sides by 2,000-pound horned animals is not an experience we’ll soon forget. If we found the scenery of Theodore Roosevelt National Park stunning, and we did, it was just a warm-up for what we encountered in South Dakota’s Badlands. Both parks exhibit miles of twisting canyons dimpled with colorfully striated buttes; but whereas Teddy Roosevelt is mostly rounded and weathered, the Badlands remains sharp, jagged and forbidding. It is probably some of the most beautiful geology we’ve seen anywhere. Looming over the Guatemalan jungle, Tikal stands as testament to the prowess of a once mighty civilization. At the height of its power, as many as 90,000 inhabitants once walked these streets. Of the many ancient Mayan sites we toured during our trip through Central America, Tikal is the Granddaddy of them all and a well deserved addition to any “best of” travel list. 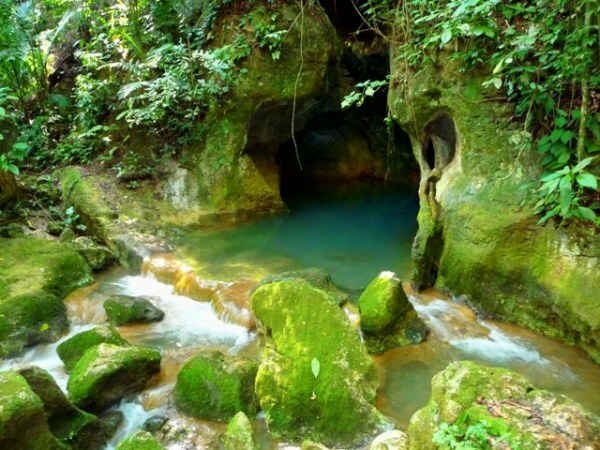 The thrill of spelunking ATM Cave in Belize had nothing to do with the geologic formations or the challenges we faced traversing the cave system. What made this experience our favorite of the year was the compelling story of a desperate civilization told by the ancient artifacts they left behind. It also happens to be one of our favorite blog posts. We also did the Wild Cave Tour at Mammoth. Very cool experience! Yeah, it’s definitely an introduction to an entirely new way to see these amazing spaces. Thanks to bloggers like you, our bucket list continues to grow 🙂 Definitely keep Black Canyon of the Gunnison on your list. You won’t be disappointed. Sounds like we’re doing our jobs. 😉 Black Canyon is definitely on the list. We’ll be getting there in the not-to-distant future. Thanks for the tip. Keep them coming! Ah, the list grows ever longer! These photos made me salivate. Beautiful! Such a great list! I have to visit some of these places. I’m so glad you showed so many awesome locations here in the UNited States. I know this list is based on your own travel, but so many people think “AWAY” when they want to plan a great trip. This country is so large and has so much diversity….an inquisitive traveler can find some place to explore right here at home! It’s true. In the U.S. we have almost an entire continent to explore. There are deserts and lush forests; rocky mountains and sandy beaches; amazing large cities and wonderful small towns. We think it might take four or five years for us to cover most of the highlights. It’s simply huge! Great Post – loving your photos – thanks for sharing! Have a Great Week! Thanks for your comments and for following our travels. Love the photos and the recaps, definitely adding to my adventure log! Good to hear. Happy travels Atari! Thanks for this list and your great posts about each location. I have added each of these to my map of “Places We’d Like to Visit”. Passing along this great posting from a blog I follow. All I can say is, I want to visit every one of these places! Who’s with me? Thanks for sharing !!! Great places !! Alltho I have traveled quite a bit. Have only been to one of these places. Tikal . Amazing. But, cant wait to see the rest of these treasures. I didnt realize that N and S Dakota are such beautiful spots ! Wow ! 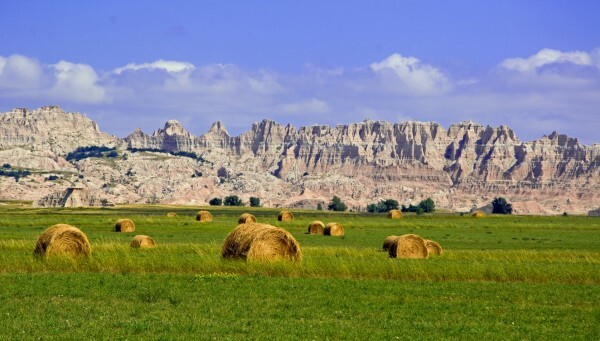 The Dakotas (especially South with the Badlands and Custer State Park) are pretty awesome. damn! Some of those caves are gorgeous. love your pics – especially Watkin’s Glen – you mentioned you grew up close by? I grew up in Williamson, NY (Wayne County on the banks of Ontario near Rochester)! We’re practically neighbors then! Well, neighbors who live about three hours apart. 🙂 I’m from Schenectady, originally. But I used to go fishing on Seneca Lake and never knew Watkins Glen even existed. 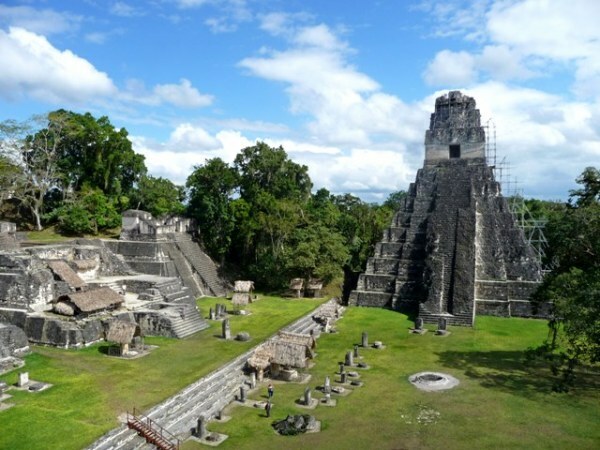 The place I most want to go from your list is Tikal! Wow. What you do is so cool! Beautiful photographs! Wow, Watkins Glen looks stunning! I’ve never heard of it, but now I’m going to try to get over there. Shouldn’t be too far from Cleveland. Watkins Glen really took us by surprise. It’s not the kind of place you think about when you think NY. Pictured Rock in MI surprised us in the same way. Both really good places that shouldn’t be missed. I’m from western Kentucky, not too far from Mammoth Cave and have several friends that are guides at the park! Although I think I’d like to go to some of the other places on your list, ha. WOW – WOW – WOW! You’ve got great pictures here! What an amazing journey you are on! I’m both envious and tired, just thinking about it!!!! thanks so much for stopping by my blog – I look forward to looking at more of yours! I’m impressed you can choose just 8! I have the problem that every place I go is my new favourite place! Lovely shots! Ha. Very true. We’re often asked “what is your favorite place” and it really is hard to select just one. It’s a bit easier to talk about several. Certainly some places make more of an impression than others. Agreed! Congrats on a fabulous blog and for getting out there and doing what I dream of doing! Thanks for your complements. And I encourage you to seriously follow your dream. Take a look at our How To section for guidance or feel free to contact us with any specific questions. Looks like some great destinations, great blog. I’ve traveled extensively in Europe, the Pacific and some in Asia, but your blog reminds me of the fabulous scenery and places we have in our country. I haven’t seen any of these places. Thanks for reminding me that I’ll have to remedy that. Beautiful photos, too. p.s. thanks for “liking” my Travels in Turkey: Food post. It’s how I found you. Welcome aboard! We do have some fantastic places in the U.S. And, if you don’t mind, we’ll be hitting you up for suggestions as we increasingly take EverywhereOnce internationally. Brian, feel free to hit me up for suggestions. There’s nothing I like more than talking about travel (except, maybe, photography; but I think they’re even, and fortunately, they’re compatible). What do I think? Totally, totally awesome. These photos are *incredible* – thank you SO MUCH for sharing, and for your recent visit & like to Play a Good Knife and Fork. Here’s to many more adventures for you and your wife! Thanks for your kind words, and for stopping by. Happy travels! I have to return to the US in a couple of weeks after living and traveling around Europe for a year. I’ll admit I was a bit bummed for the travels to come to an end, but after seeing these amazing sights you’ve visited I can’t help but feel I’m going to have my work cut out for me when I get back! Awesome pictures. There really is tons of great stuff to do here. Have been to Tikal and loved it. What a magical place. The other places look great too. So beautiful. You’re giving me the travel bug! thanks for the post. 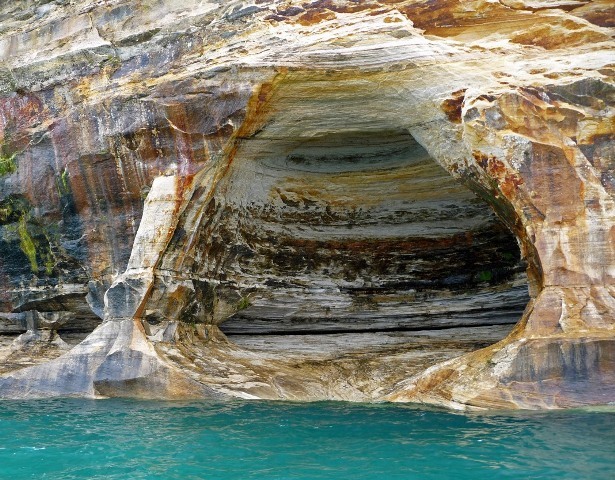 Amazing picture of Pictured Rocks…I have spent some time in MI and know that the color of the water can be tropical in color…but this is spectacular…you have inspired me to take a look! Great blog, beautiful photos. Thanks for reading my blog on Granada, Nicaragua. Agree on Tikal – one of hte most amazing places I’ve ever visited. And so much still to uncover. They look like some really lovely places, and images of course. Have been to Tikal and found it magical. I look forward to one day seeing more of the USA, it’s just such a big country, hard to decide where to go! On the road for two years – how brilliant! Gosh and those all sound like fantastic experiences too, great photos. Thank you for popping my my blog (a little while ago, I’ve been slow to return the visit sorry!) and happy travels! Why thank you. Truth be told, I missed some of the best photo opportunities because I drowned my camera about halfway through the trip. Of course, photos don’t do the Canyon justice. I’m really jealous that you guys can wander around the world so carefreely! I hope I can too one day; but I must ask – where does the money come from?! I love your site! Thanks for sharing the world with those of us less traveled. I look forward to your new posts! Thank you. We’ll keep traveling and writing just so long as you keep reading. 😉 Deal? Thanks for the like on chanceofsun! I love this blog and what you guys are doing with life – fabulous! The goal to “see everything there is to see” is simple, elegant, and very inspiring (and I’ll have to read more on how you actually got there…). I look forward to hearing more! Thanks for stopping by, Arizona Girl. as long as the body will permit. Thanks for the post! I’m proud to say I’ve been to at least 4/8 of the spots! I guess it’s the wilderness stuff that impresses you most of the time? Or maybe that’s what’s impressive in the U.S.? so many places to go…so much to see! Thank you for visiting my site and liking, “Send a little love my way.” I enjoyed your photos and have taken notes for my next journey. Love your photos, so many great shots! 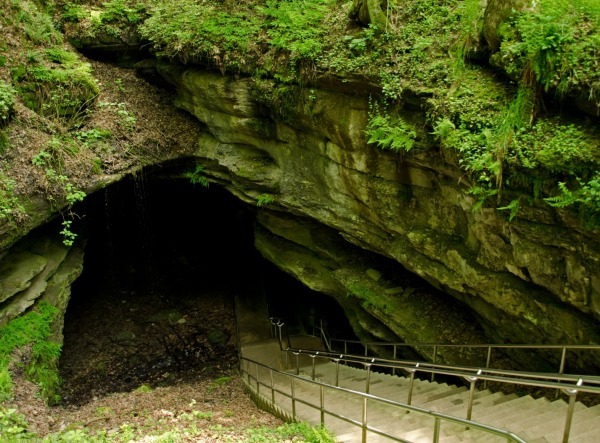 I especially liked the one on Mammoth Cave, KY. My mother’s side is from there, but I’ve never got to go. Such gorgeous photos and places to visit! Thanks too for visiting my blog. 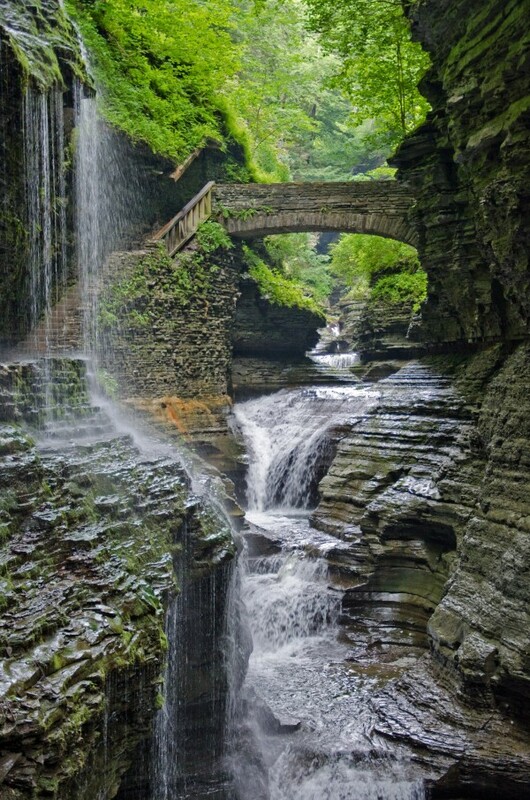 Watkins Glen isn’t far from where I live… how cool. Can’t wait to check it out. Thanks for liking my sculpture post. I pass this place every time I drive to town, and it’s fun to stop and see his new creations. Your blog looks quite intriguing, so I’ll check it out – have to see if you’ve visited Oaxaca! Thanks for reading about Panama City. Love your photos – such beauty. Loved the article – going to visit Badlands in 3 weeks! Can’t wait! to continue your grdeat work, have a nice evening!